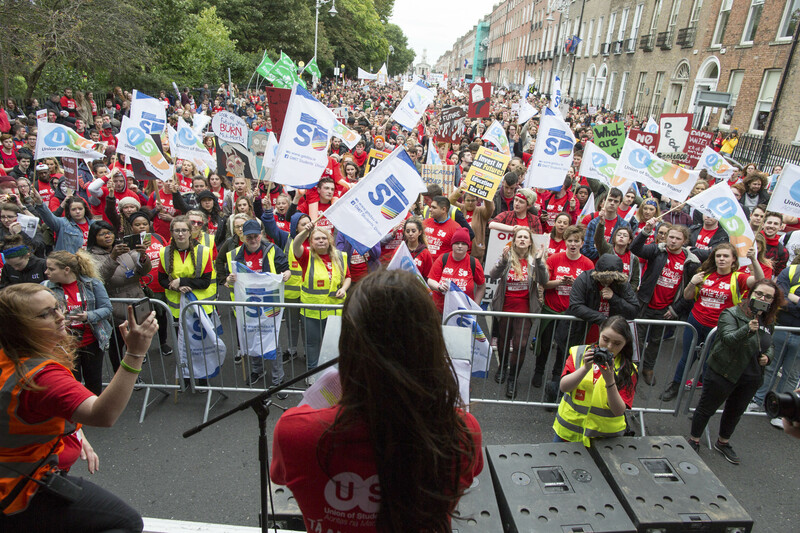 A demonstration drew 20,000 students to Dublin on Wednesday the 4th of October demanding Minister for Education Richard Bruton delivers a timeline on the future of higher education funding. 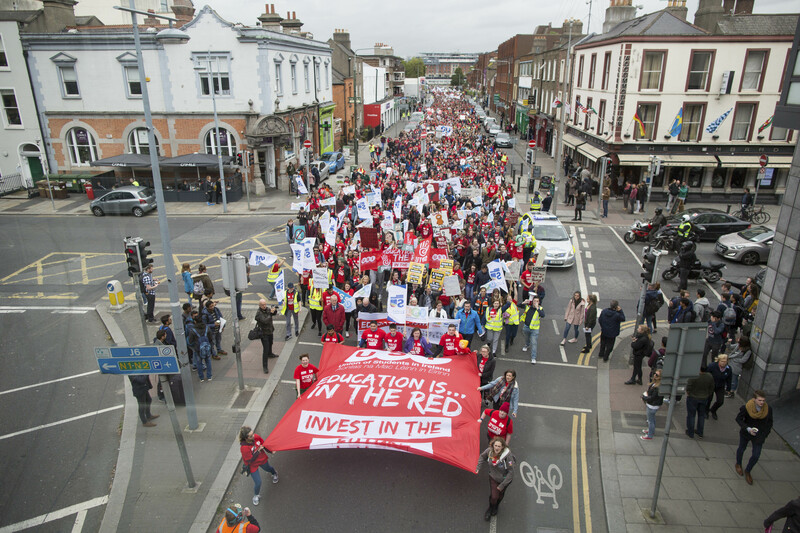 It has been announced by the Minister for Education that there will be no long-term outline of a third-level funding model in next week’s budget. 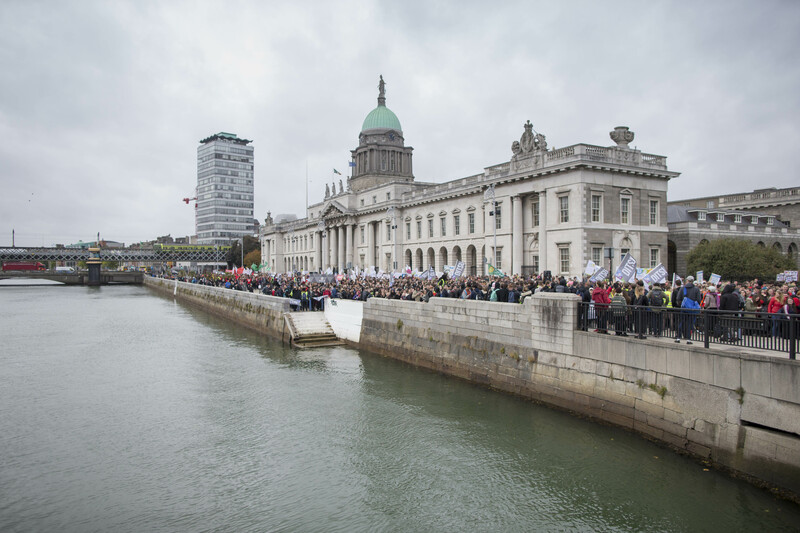 The demonstration left Custom House Quay at 1pm and marched to the Department of the Taoiseach. Second-level student Jane Hayes-Nally from Cork, IT Tallaght lecturer Dr Martin Marjoram, and parent Annette Quijney from Dublin were some of the speakers calling on the Joint Oireachtas Committee on Education and Skills to make a historic long-term decision to invest in a publicly-funded third level education model. 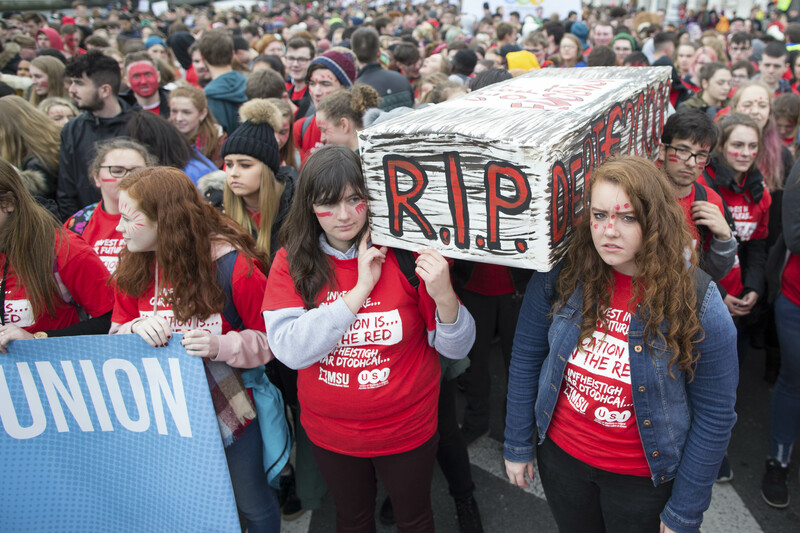 €3,000 annual student registration fee has resulted in Ireland having one of the most expensive third level systems in the world. The registration charge has increased by 275 per cent since 2008. What have we got to show for it? Falling university rankings, facilities which are not fit for purpose. Something has to change. 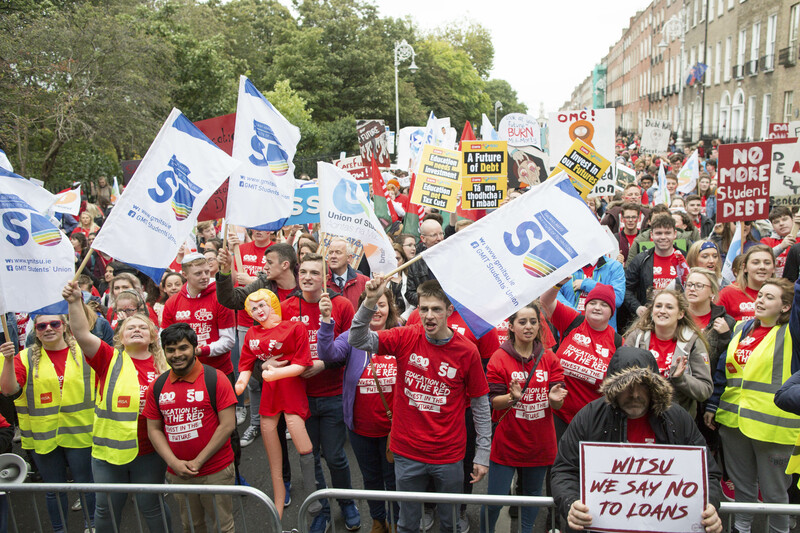 A student loan scheme will mean the student contribution fee will increase to a minimum of €5,000. I say minimum of €5,000 because in every country that has implemented loan schemes, it always followed with a further rise in fees. In 1998, the UK implemented loan schemes at £1,000 per year, within 14 years, this had increased to £9,250. They also turned maintenance grants for the most vulnerable into loans. In budgets 2011 and 2012 the student grant was cut significantly. Through payments, thresholds and adjacency rates. 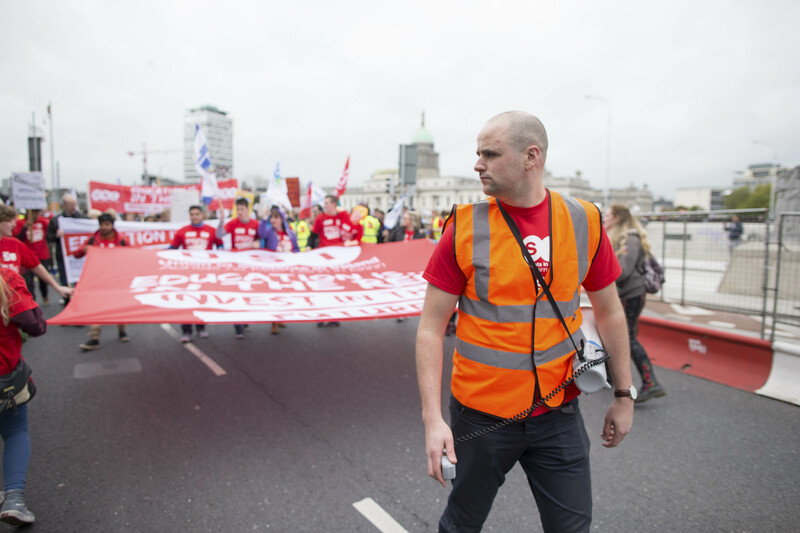 Since then we have seen a drastic increase in the cost of going to college, especially the cost of student accommodation which has spiralled out of control. We have heard from the countless students travelling long distances and missing lectures to be able to take public transport home. We have heard from hundreds of students sleeping in overcrowded accommodation, staying in hostels and sleeping on floors. We have heard from a student in Cork who would wait in college until the building closed and would sleep under a bridge until it opened again. We are sick of hearing these stories. We are sick of seeing students homeless and living in poverty. 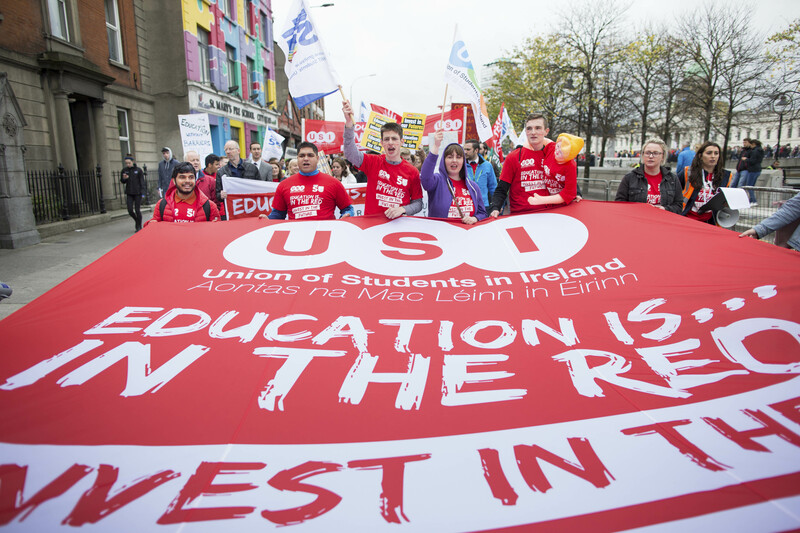 We are calling on the government to invest in Higher Education and to make a historic decision to reduce the €3,000 contribution fee. To treat education to like public that it is.